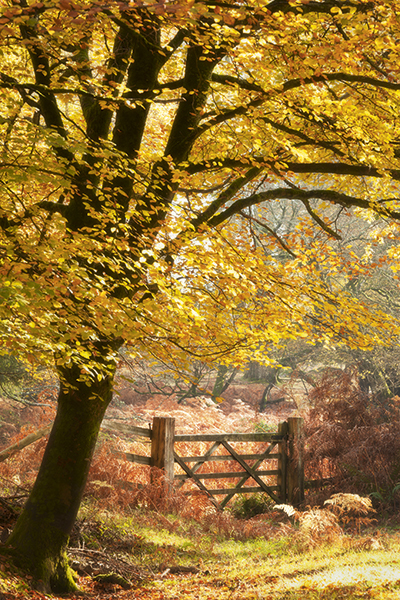 Get your best shots of the shorter days and changing colours with our expert from Jeremy Walker. Sadly the summer is almost on its way out, but that doesn’t mean we have to pack our cameras away. The Autumn may not have the heat, but it certainly offers some wonderful light and colours. We asked professional landscape and travel photographer Jeremy Walker to share some of his favourite Autumnal photography locations. We hope this inspires you to get out and get shooting over the next few months. The best time to catch the New Forrest’s changing colour is early to mid-November. The New Forest National Park, the bulk of which is in Hampshire, covers many different types of habitat including pine forest, areas of mature beech and oak woodland, as well as open heath and pastureland. The park covers a total of 219 square miles, most of which is unspoilt countryside and can be a good autumn location depending on the weather and conditions. The New Forest is easily accessible by car and the small town of Lyndhurst, with its excellent and very helpful visitor centre, is a good starting point. Accommodation in, or near to, the New Forest is plentiful and will appeal to all budgets. There are one or two very well-known upmarket hotels such as Rhinefield House and Chewton Glen. But if you don’t mind being on the edge of the Forest there are also many chain hotels offering value for money, like the Premier Inn on the edge of Christchurch, just 20 minutes away. Bed and breakfasts are also plentiful. If time is limited I’d recommend heading along the Bolderwood Arboretum Ornamental Drive and the Rhinefield Ornamental Drive for a quick fix of both deciduous and pine trees, but go first thing to try to capture the low sunlight filtering through mist-shrouded woodland. The oak forests surroudning Dolgoch Falls are espcailly pictureseque in autumn. 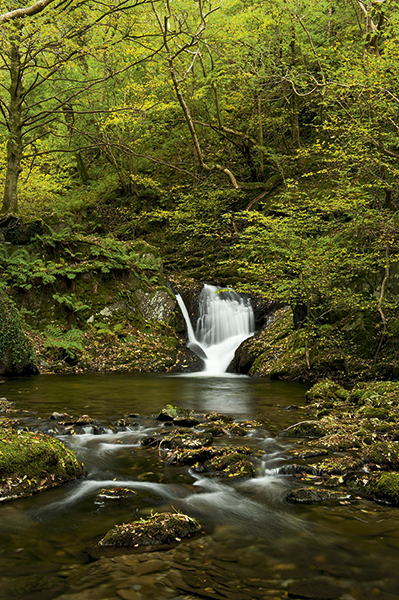 Situated in North Wales, the Dolgoch Falls are a quiet location as they aren’t particularly near any main route. They’re accessed off the B4405 with parking just off the road in a small pay-and-display car park. Access from the car park is easy, and secure footbridges are in place but care should be taken on slippery rocks. Some viewpoints will only afford one or two photographers at a time, although most non-photographers don’t tend to stay long. The Dolgoch Falls are a series of three main waterfalls and a river flowing through a valley covered with ancient oak trees, which is why it’s a great place to shoot in the autumn. The area has a certain charm, but you’ll have to work for your images rather than just turn up and shoot. As well as the falls, the area is known for its red kite population. A couple of miles away are the remains of Castell y Bere, which is surrounded by oak trees and commands great views along the valley. Accommodation can be a bit sparse in this area but the Ty’n y Cornel Hotel at Tal-y-Llyn might be worth a look. If you want a comfortable country house hotel try Penmaenuchaf Hall near Dolgellau. There are also a few bed and breakfasts, mostly centred around Dolgellau. Make the most of early mornings. 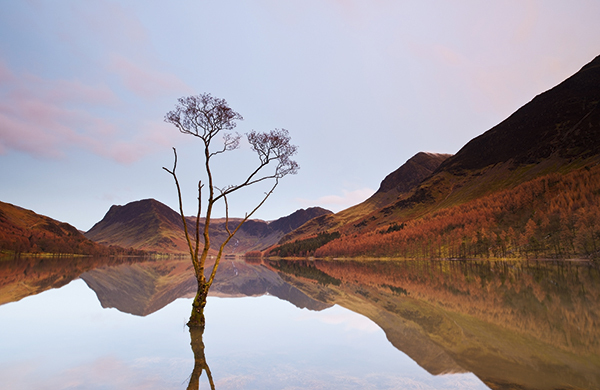 Grand seasonal displays mean the Lake District is busy at all times of year – not just summer. The Lake District can be stunning in autumn with clear days, crisp nights and a golden cloak of autumnal colour covering the hills and valleys. The Lake District National Park lies within Cumbria and is easily accessed from the M6 Motorway either via the A590/A591 towards Windermere or via the A66 towards Keswick. Although Windermere was recently voted the most photogenic spot in the country, I’d personally head for Keswick, Derwentwater and its surrounding fells. As well as using Keswick as a base for exploring I’ve also used Ambleside. There’s plenty of accommodation, but my favourite is The Waterhead Hotel. For autumnal imagery head for the fells above Grasmere. Latrigg Fell is less wooded than some other areas but offers stunning views. Coniston Water can be a less crowded location, with the brooding mass of Scafell Pike reflected on a calm morning. Another spot worth looking at in autumn is Tarn Hows. Nestled in the fells above the village of Hawkshead and accessible off the B5285, it’s well worth a visit. However, get up early, use the light and beat the crowds. 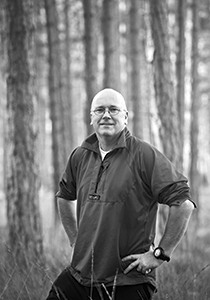 Jeremy is an award-winning photographer specialising in high-quality landscape and location photography around the world for use by advertising, design and corporate clients.